Comments, a way to get feedback, suggestions and opinions of audience. It is the only way for visitors to contact with author/admin specially in those blogs which don't have any contact page. So visitors ask to admin about their problem through comments. Blogger has a good looking comment box and and well display of comments and lets its users to enable Google+ comments on blog also. But blogger comments are so simple and doesn't let to like someone's comments, up-vote someone's comment or edit a comment. So many bloggers either try another template or customize the existing comments and comment box by CSS but they with CSS they only change view of the comments like round thumbnails, different font etc, but its not enough because we can only change view of comments with CSS but can't enable it to be edited, liked or up-voted. So nowadays bloggers and webmasters too are using disqus comments in blogs and websites to let visitors edit, delete, up-vote or down-vote someone's comment. 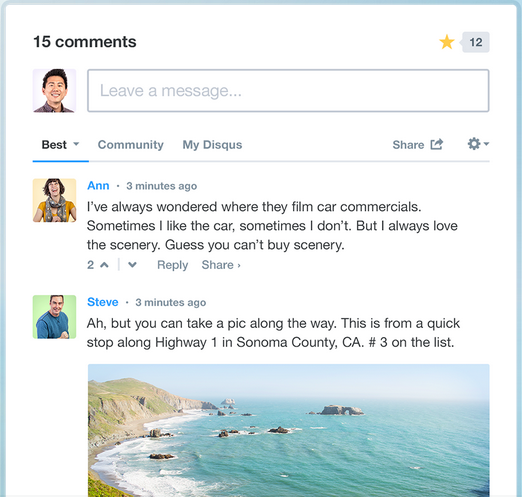 Disqus helps bloggers and webmasters to create a community of active readers and commenters where visitors can comment easily, edit it, delete it and can up or down vote someone's comment. It has a simple and good look and don't allow anonymous people to comment so nobody can spam on your blog. Another feature is the most up-voted comment is shown above of all, so if it is helpful then visitors can get benefit of it. You can take a look of Discus comments and read its features below. Disqus comments has a neat, clean and decent look! Visitors can post comments, delete comments, Edit comments, vote up or down comments, flag comments, share comments and can also subscribe to comments. 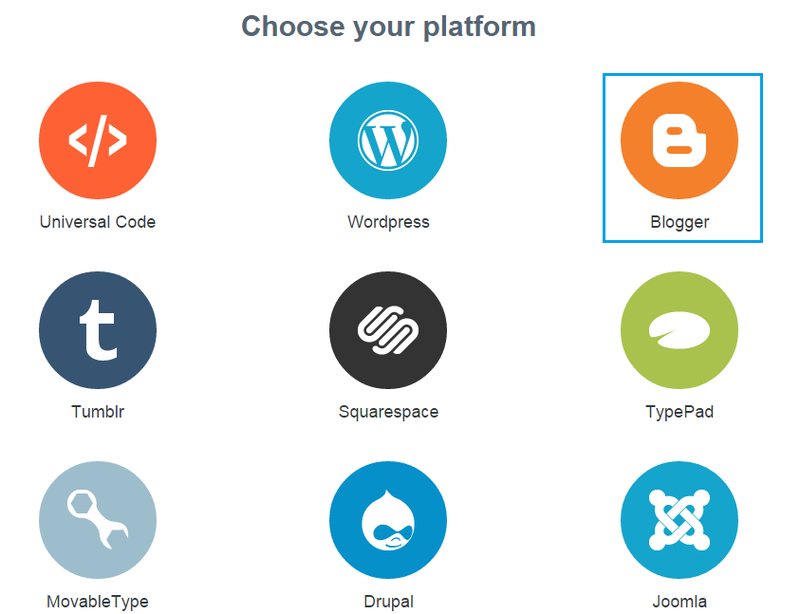 Similar to blogger you will be notified by your Email if someone leaves a comment on any post of your blog. Visitors can share images or videos in comments. You can see comment activity on your blog in a graph by logging-in to your Disqus comments account. You can set avatar for users who don't have any profile picture. Commenting is allowed for registered users and also for guests. You can make money by showing recommendations like Outbrain related posts widget. Disqus shows threaded comments and shows a related discussion below comments and helps you to reduce bounce rate of your blog. First step is to add page element(adding gadget in blogger) so click on the button displaying text(Add ABC(your blog name) to my blogger site) and on the "Add page element" page click on Add Widget if you wish to rename it then type desired name before clicking Add Widget. 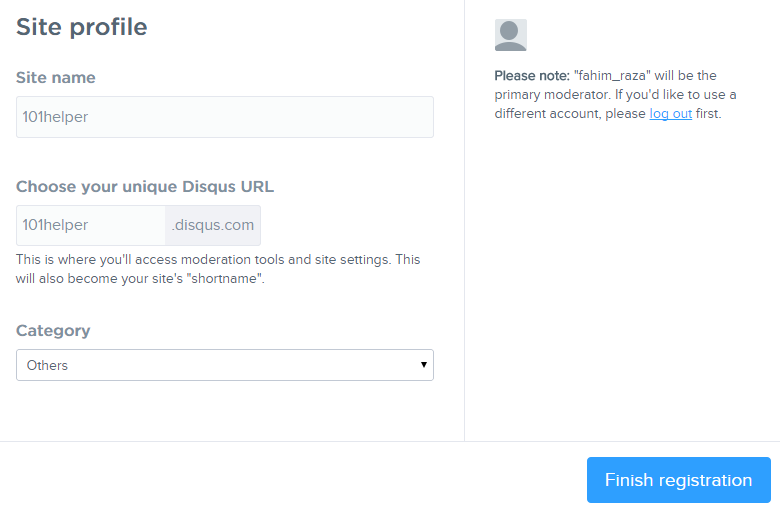 In second step Disqus is asking you if you want to sync(import) your existing comments? 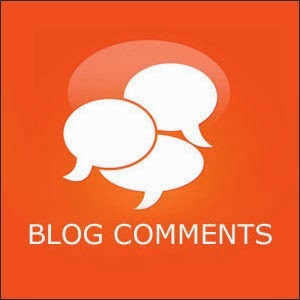 (comments you already have) so if you wish to import your existing comments click on Tools > Import, it will take you to import comments page where you have to click on import comments from blogger. Disqus will import all comments automatically, it may take some time. 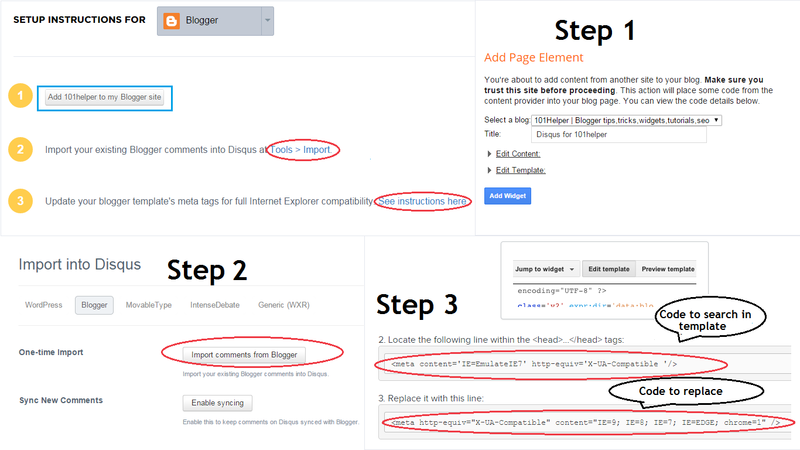 In last step you can see a sentence "Update your blogger template's meta tags for full Internet Explorer compatibility. See instructions here" here you have to click on See instructions here which will take you to a new page where you will see a meta code you have to replace that meta code with the given meta code because Internet explorer isn't enough compatible with disqus so you have to replace that meta code(shown in step 2) with given meta code(shown in step 3) to make Internet explorer compatible with it otherwise when your blog is opened in Internet explorer the comments may not appear or appear in defaced form. To replace meta code go to blogger dashboard > Template > Edit Html search for <head> and below it find that meta code shown in Instructions page. Don't search it directly by Ctrl+F you can't find it in that way so you have to first search for <head> and after that scroll just a little. That's it after replacing meta code your Disqus comments are ready. If you have still any problem you can read a detailed instructions post here. Thanks for visiting 101Helper, give me your feed back about this post in comments. If you have any question discuss it with me in comments. Follow and subscribe below to get latest updates by Email. Share this post with others and help 101Helper grow. Read more posts below and pay a visit again.